At last, Star Wars Rebels has reached the final outings of its second season, that all those Force-goodies from the midseason trailer have come home to roost. 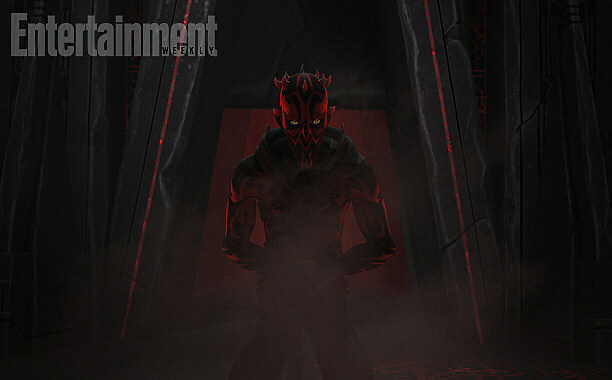 And where the trailer only teased it, see Darth Maul’s full return in a new clip and photos from Rebels’ Season 2 finale! This whole season has been about getting Ezra to kind of explore the dark side of the Force and be aware of its existence on a powerful level that maybe he didn’t understand before. It’s really kind of an Empire Strikes Back movement for the series, where we bring the dark side out more to our heroes and challenge them with it. It’s going to get pretty crazy before the end here. We’ll see for ourselves this coming Wednesday, but will Ezra struggle further with the dark side of the Force in Season 3? What should we make of that Kylo Ren-looking lightsaber, or Ahsoka’s final showdown with Darth Vader himself?